Don't suffer in your car when the heat of summer or the chill of winter comes. Driving around in a car with a broken AC or heater is miserable. At Wayne's Auto Repair, we offer dependable, affordable auto AC maintenance in Westerville, OH. Ensure that your car's air conditioning and heating system is fully operational before the winter and summer months are here. Allow us to inspect your system, recharge it, and maintain it so you can enjoy a pleasant driving experience no matter the weather outside. Take the chill out of the air when you're driving this winter. If your car's heater is broken, you may be in for a freezing ride to work or around town. For prompt and affordable auto heating repair, allow our auto technicians to bring on the heat. We provide full-service repairs so you can enjoy the wintery season from the comfort of your warm car. Not all auto repair mechanics are equipped to replace car heaters. Because we are experienced and ASE-certified auto technicians, we are able to provide auto heating repair and part replacement for all makes and models. We use state-of-the-art tools to provide reliable installation. Whether the problem relates to a faulty heater core or blown fuse, we determine the problem and repair it quickly. The weather outside is frightful. Why endure the same inclement temperature in your car? 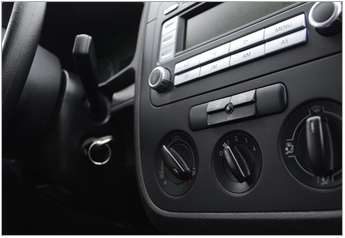 If your car heater or AC is broken, visit us for prompt services. Our experienced AC technicians know how to fix any problem. Whether it's a broken heater core or faulty evaporator, our technicians have the skill and tools to address any issue. Rely on us for prompt and accurate auto heating and cooling repair. Contact us for AC and heating service that keeps you comfortable no matter the season. We serve vehicle owners from Westerville, Columbus, Worthington, Gahanna, and New Albany, Ohio, as well as the surrounding areas.